At heart, this is why we are here and what we love to do. An automatically fed platen press, built in 1954. Maximum sheet size is roughly 10"x15". Prints with precise accuracy and color due to an ingenious feeding and registration system. Equally versatile for short and long runs, it is the Cadillac of small format letterpress presses. Or perhaps Cadillac is the Heidelberg Windmill of American cars? CHANDLER AND PRICE 10" X 15"
A New Style platen press built in 1923. These designs were the standard job presses of the late-nineteenth century. Hand-fed, maximum sheet size is roughly 12" x 18" with a 10"x15" image size. 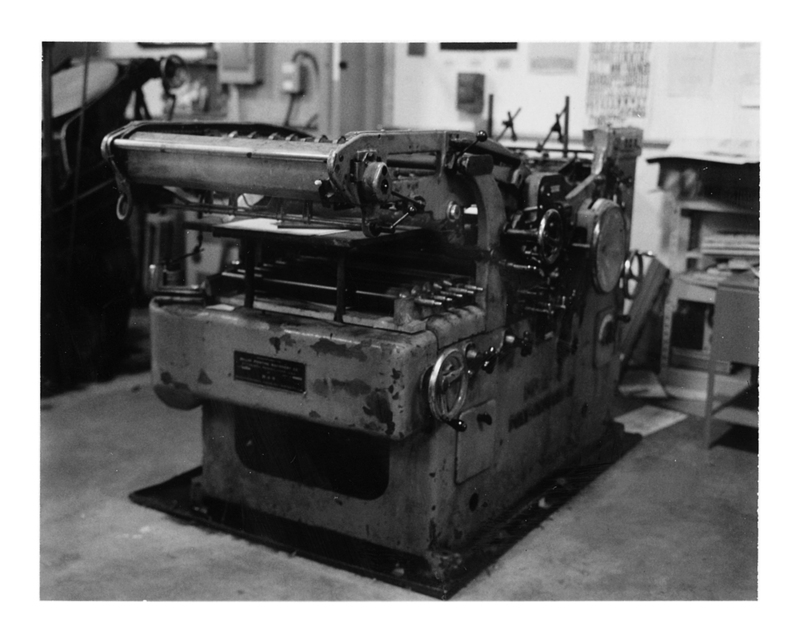 Our very first press, and a letterpress work-horse which we still use daily for many smaller run jobs from invitations to business cards, coasters, etc. A hand-fed proofing press, maximum sheets size is 14 3/4" x 20" (with exceptions!). Built as an extremely precise proofing press for color work, many shops now use Vandercooks as their main production machines. Used for art editioning, proofing linotype slugs, and other shorter run large format work. A large format cylinder press, built in 1954. Automatically fed, maximum sheet size is 14 1/2" x 20 1/2". Allows for printing very rich solids, sharp type with high amounts of impression, and precise color control over very long runs. Our go to press for long-run commercial work as well as very detailed fine art editioning. A larger format platen press from the 1930’s. Automatically fed, maximum sheet size is roughly 13"x19". Used mainly for die-cutting and scoring, this has become our main press for finishing jobs.